Put yourself in Evan Cross' world or put dinos in yours. Check out both Primeval: New World apps for iOS. A spin-off of the UK hit. 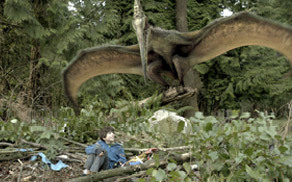 Primeval: New World follows a team of scientists and animal experts that's called to action when dinosaurs appear in Vancouver. A New World gets a new cast of anomaly hunting scientists and the creatures that evade them. Meet the stars of this series. When it comes to television, we're in a bull market for doomsayers. It's the end of the broadcast networks, as their signals are pirated and their quality is eclipsed by cable and online shows. There are a few things you should know to begin with; I have never seen the original UK Primeval series. 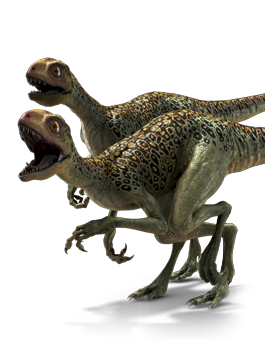 65 million years ago dinosaurs roamed the earth, but today they're back, and they're hungry! Watch videos submitted by fans and make your own with effects from every episode. Want more Primeval: New World? Check out exclusive behind-the-scenes and making-of video content.